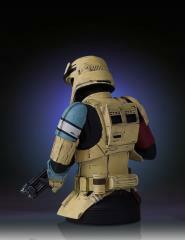 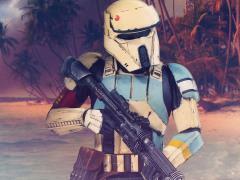 From Rogue One: A Star Wars Story; come the Empire’s Shore Troopers. 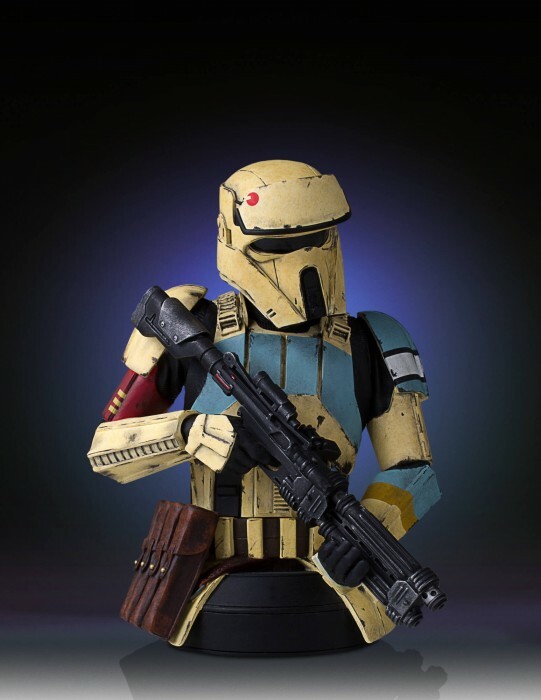 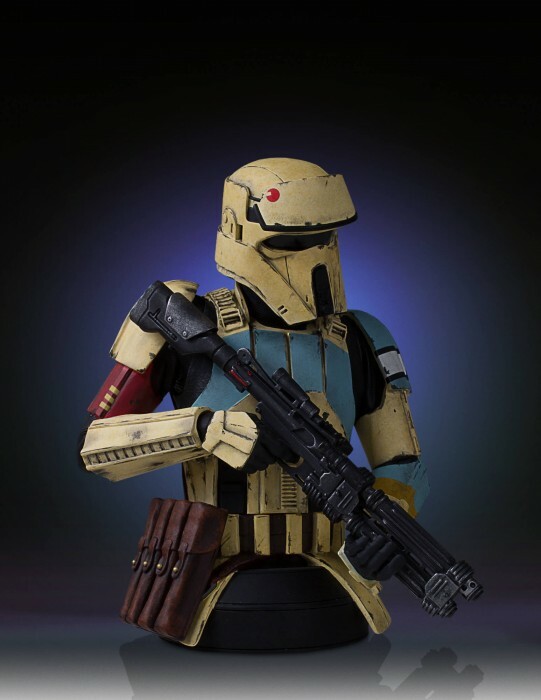 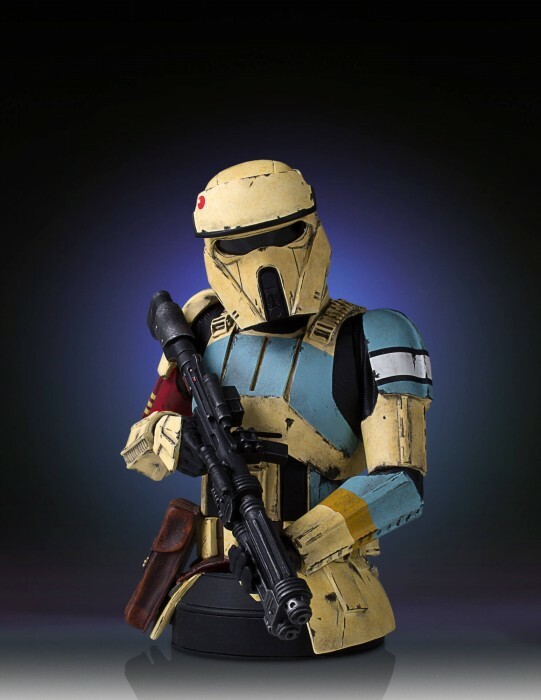 Armored soldiers who patrol the beaches of the planet Scarif, the secret location of the imperial army and its Death Star construction facility. These well-trained, specialist Troopers are at the ready to defend against the always imminent Rebel incursions. Sculpted digitally to ensure precision form and character correct accuracy. 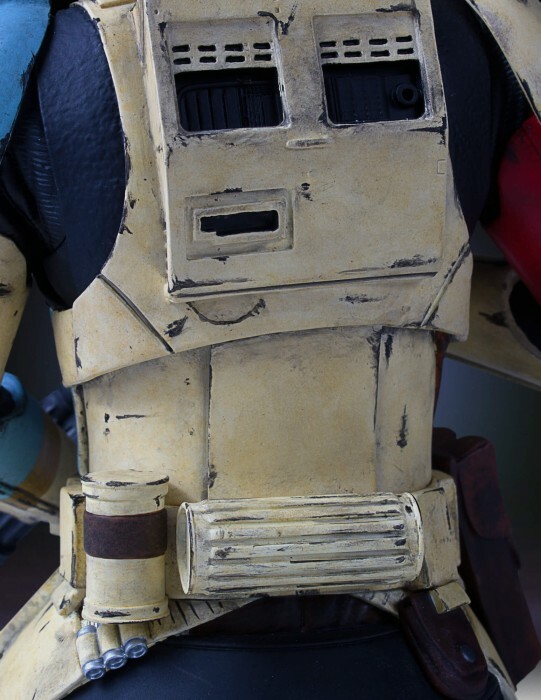 Each detailed bust is cast in durable, stone-like, poly-urethane material that is cold to the touch. 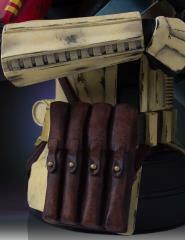 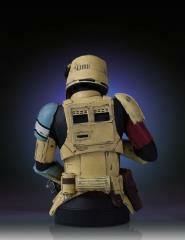 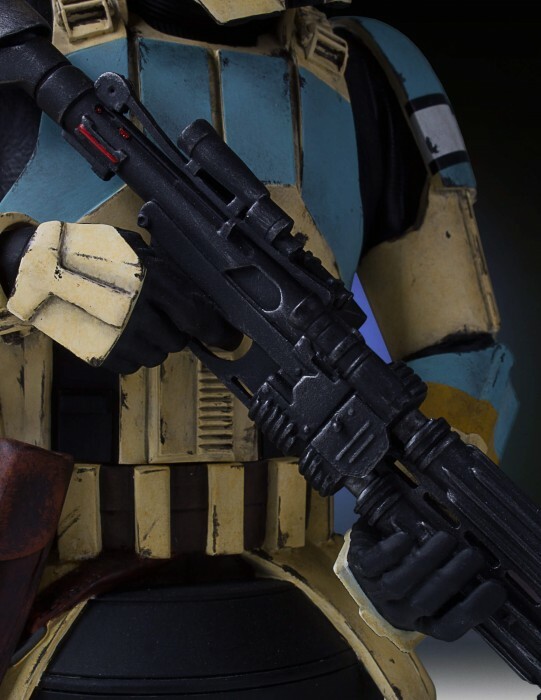 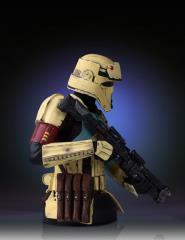 Featuring a heavy blaster-rifle, sculpted hip pouches and gear. 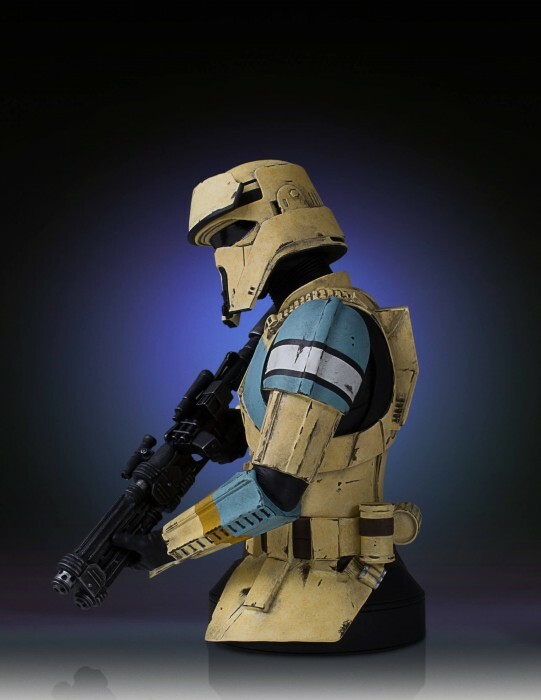 Every trooper is hand painted with correct rank and insignia applications with battle worn, weathered details.